Gat No. 246, Jadhav Vasti, PO. Chimbli, Tal. Khed, Dist. Pune – 412 105, Maharashtra, India. 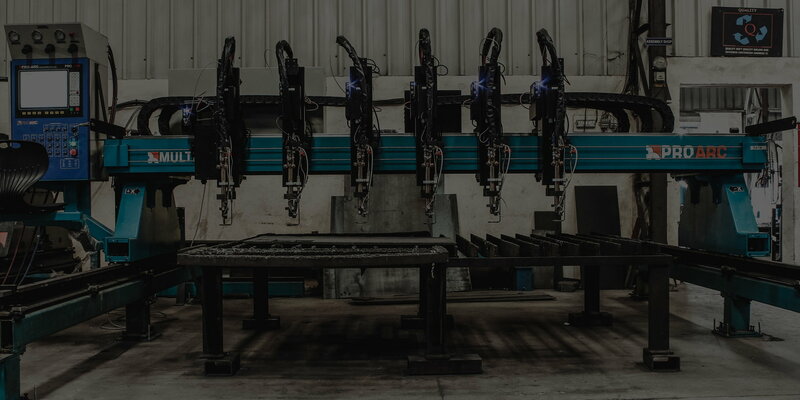 MULTIPRO model combines PROCUT and MULTICUT models wherein one side of the gantry has CNC controller gas and plasma systems for profile cutting application and other side of the gantry has multi-torch oxyfuel cutting torches for strip cutting. © Copyright 2017. Pro-Arc Welding & Cutting Solutions Pvt. Ltd - All Rights Reserved.